As a big Harry Potter fan I was pretty disappointed when they opened a theme park all the way out in Florida and left us UK fans out in the cold. But then I heard the news that from Spring 2012 we will be able to tour around the studios in Leavesden, Herts where the films were made and see all the sets like the Great Hall and the common rooms plus the creatures effect studios where they made all the animals. It will be a 3 hour tour and tickets go on sale in October. Has anything caught your excitement this week? Oh! Both of those sound great! About the only thing I’ve got excited about is the thought of a new Sherlock Holms film coming soon…. p.s. I managed to see HP last week…. thought it was great bar the ending which was a huge disapointment…. although it has been left hanging.. there could be a Dumbledore Seamus Potter book in the making? It did seem more of a cliffhanger on film than in the book, as far as I know she’s done and dusted! i actually want to see sarah millican on tour – she’s doing a few theatres near me so I want to go, it’s only £20 a tix! But I hope that my mam wants to go for her birthday (hah!) . AS you can tell, I love her! Only a few days till X Factor! Just saw your new blog magazine looks great I’ve subscribed! 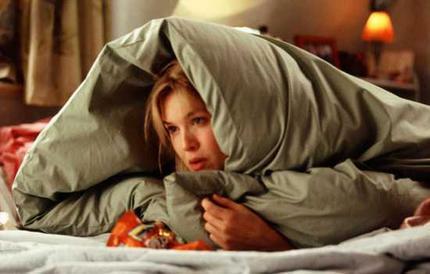 I am obsessed with Bridget Jones, I almost screamed with excitement when I heard the third film is a go! I would looove to see the musical. And we may be seeing a mini-Bridget in it! I must see Bridget Jones live! I love the Lgeally Blonde soundtrack but never got a chance to see it. I hope you get to! LB is great! I discovered white water rapid kayaking this past weekend! It’s definitely a new found excitement! Bridget Jones AND music? Sounds awesome! Haha I know it does! That HP tour sounds way cool!!!! Did you hear they are making a Bridgette jones 3?!? Yes! The post I’d intended for today was a reflection on some videos and animated GIFs and old friend sent me. I’d thought some of them were gone forever when my laptops were stolen in a burglary some years ago! So much fun to see those glimpses of my law school days.